Ready to set sail on a new adventure, wanting to take your life on the road and travel? If so then you need to come to your local Airstream dealer in Wisconsin. Here at Ewald’s Airstream of Wisconsin, we have everything from an Airstream Flying Cloud for sale, to an Airstream Basecamp for sale and everything in between. Here at Ewald's Airstream of Wisconsin, we understand that when it comes to finding a camper that fits your wants and needs the process can seem never-ending. Which is why we have a team of people who are happy to answer any and all questions you may have about one of the many campers for sale in Franklin, WI. That includes questions about the Airstream Flying Cloud for sale. The Flying Cloud has been one of the most popular Airstream trailers for many years, due to having over 15 different layouts. With so many layouts you can pick the one that fits you and your families needs perfectly. From the moment you step into this Airstream trailer for sale, you will feel instantly at home with its efficient design and cozy features. Panoramic windows let light stream in from every angle and make this Airstream travel trailer for sale feel bright and open. 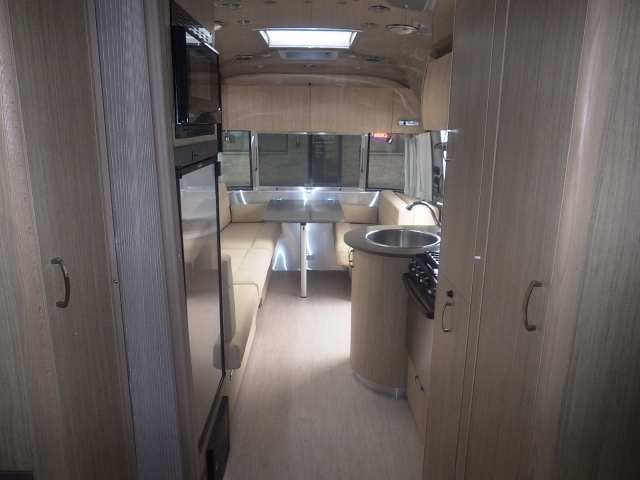 Soft wood tones and light colored fabrics make this Airstream feel warm and cozy. The Airstream flying cloud comes with a galley style kitchen and a pop-up side table that will give you all the space you will need to prepare and cook all your favorite meals. Never worry about your kids being bored on a rainy day ever again because the Airstream Flying Cloud also comes with many technology features that blend seamlessly into the decor. This Airstream travel trailer comes with Clarion stereo with AM/FM/Satellite radio, CD player, and Bluetooth, a Samsung LED HD TVs with surround sound and Blu-Ray and DVD player. The Airstream Flying Cloud is built to make your adventure a little easier and less messy with an abundance of storage features. This Airstream trailer comes with smartly designed cabinetry and storage for anything and everything you bring along for the ride. Keeping your Airstream travel trailer clean and out clutter-free so you can enjoy all of your adventures. Count on the Airstream Flying Cloud to last far longer than its boxy competitors, and with its lightweight and sleek design, you will not even feel the impact at the pump. The Airstream trailer also features an easy to tow design that everyone from a first-time driver to a seasoned trailer owner will be able to tow with confidence. When you need a quality Airstream trailer for sale, like the Flying Cloud 20, you can count on Ewald’s Airstream Of Wisconsin. 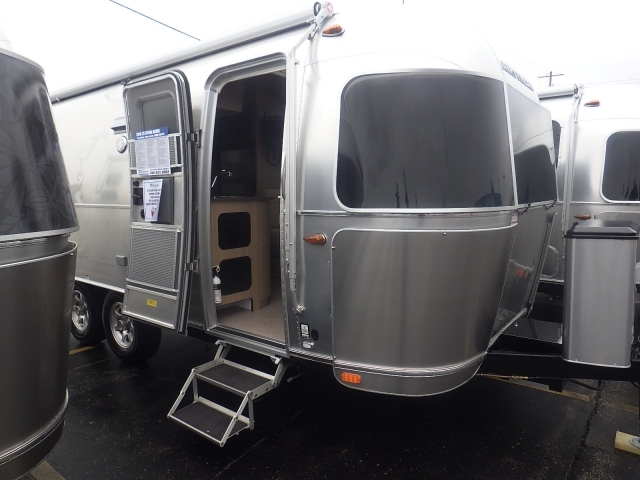 Come and see just how impressive an Airstream trailer for sale is and schedule a walk through or one of the many remarkable Airstream trailers for sale here at Ewald’s Airstream of Wisconsin. Ewald’s Airstream of Wisconsin is at 6319 S 108th ST in Franklin, WI 53132.